In the present time, we can see that the use of mobile phones is increasing all the sectors as same medical and healthcare institutions are using different types of mobile apps to get the faster access of information to save the time, money and life of people fast. In the hospitals, we can see the way there are using to get the patient’s information. Many big hospitals even government also is using mobile apps to facilitate patients to get appointments, consultation fees and other information from their mobile device. These apps are also responsible for providing the efficient and secure exchange of clinical data among patients and healthcare institutions. The healthcare apps development came in focus at the time when people were moving towards mobile phones to get the services and products from the web. These mobile apps also help doctors to track different aspects of the patient’s health. In some apps, doctors can provide their opinion directly to their patients using a Smartphone. Healthcare apps development also helps to diagnose the conditions which are required to monitor and to get the faster and reliable results than some conventional tools. So that we can say that these apps are playing a next step role in the medical industry. With optimum care, we get the best treatment anytime and anywhere. Because with these apps you get the improved streamline and quality for the best care of patients. A random response to patient’s conditions can be easily monitored and informed to them. Doctors keep track of patient record that helps them to maintain cooperation, communication and updating care plans between straight men. 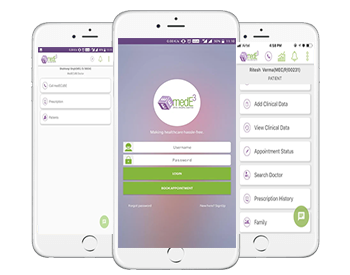 Healthcare mobile apps development also reduce the complexity in getting appointment schedules, doctor’s information and other things. So, these apps also provide a transparent way of treatment. These applications also benefit doctors to get more customers in the best and easiest possible way. 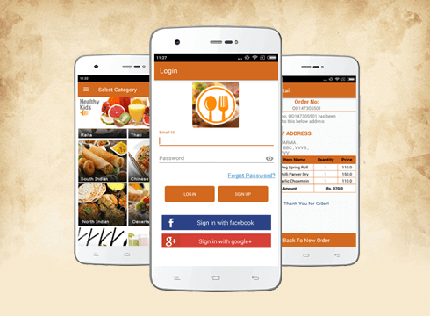 It also helps your organization to navigate customers to the organization, send the push notification, provides them access to your website, e-mail, phone and other contact details.